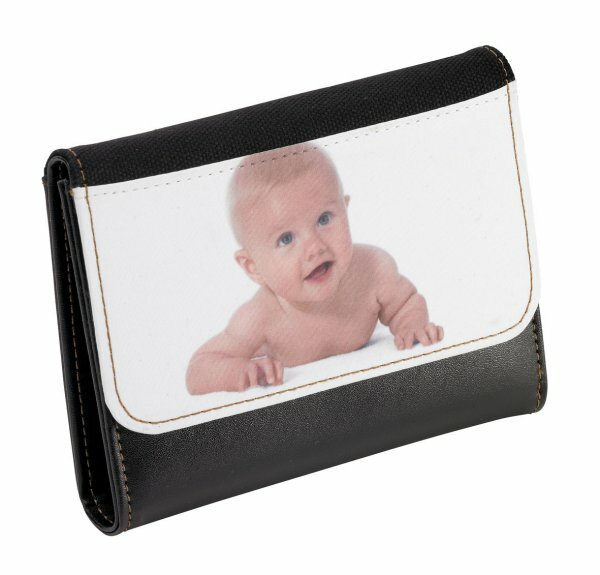 Personalised full colour ladies purse with printable flap. This ladies purse includes an integral coin pocket, a section for your credit cards, notes photo ID and personal photographs. The wallet measures 14cm wide x 10cm tall x 3cm thick. This is a great personalised gift which is ideal for a gift for many occasions including Birthdays, Christmas, Anniversary…..it’s endless! If you choose to have text we have a selection of fonts for you to choose from. Please detail your requirements by clicking the customise button below.